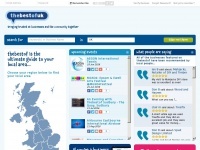 thebestof UK showcases thebest of everything; events, offers, reviews and trusted local businesses. 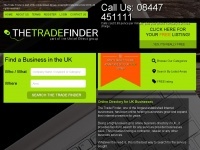 In total 170 links were found which refer to Thebestof.co.uk. The most used keywords in text links are Best of, The Best and We. Individual words like Best, Read, Reviews and Thebestof are frequently used in text links from other websites. The most important link sources for this website are Butysalon.co.uk and Cambridgewebsolutions.co.uk. The sites /local/st-albans-and-harpenden/independent financial advisors/1/the_best_of.aspx and /local/camberley are frequently referenced by external sources. The table shows the most important links to Thebestof.co.uk. The table is sorted in descending order by importance. The table shows websites of Thebestof.co.uk, which are often linked by other websites and therefore they are classified as important content. 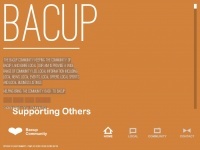 Mylocalservices.co.uk - Your Lo­cal Busi­ness Di­rectory & Fo­rum | Free ..
Bn15.co.uk - Lan­cing & Sompting on the Web - Com­mu­nity Pa­ges, ..
Bacup.org.uk - Ba­cup Com­mu­nity : Lan­cas­hi­re : Lo­cal : News : Events : ..